I am inspired by D’Aubigné’s testimony in History of the Reformation. “God, who prepares His work through ages, accomplishes it by the weakest instruments [or means], when His time has come. To effect great results by the smallest means, such is the law of God. This law, which prevails everywhere in nature, is also found in history.” Book II, chapter 1. When God began choosing a special people in order to establish them as a peculiar nation for Himself, it was by calling one man—Abraham—who dwelt among the heathen, in Ur of the Chaldees. From him sprang a numerous progeny; but of them, when exalted to the dignity of a nation, the God of heaven said: “The Lord did not set His love upon you, nor choose you, because ye were more in number than any people; for ye were the fewest of all people.” Deuteronomy 7:7. These thoughts bring us to how God has led us to trust completely in Him, no matter how dark or desperate our situation may look. You see, we are missionaries, descendants of missionary ancestors who left Europe and United States to serve the Lord in South America. Our vision, as lifelong missionaries, has been to follow God’s blueprint on true education, natural health, country living, evangelism, marriage, and even in the way we would support our own ministry in South America. In Argentina, in 1998, my family (my dear wife and three children) tasted a natural fruit drink which sparked ideas and desires to one day formulate something similar. I was further inspired by reading what Ellen White says about health foods in Testimonies, vol. 7. I began to think about God’s plans for the work of formulating healthy foods in behalf of the world, as part of an industrial missionary ministry. We earnestly prayed to God for guidance and illumination on the matter, since we were living in an area where figs were grown. We found out that, in the majority of the cases, they were wasted, and not always even harvested. 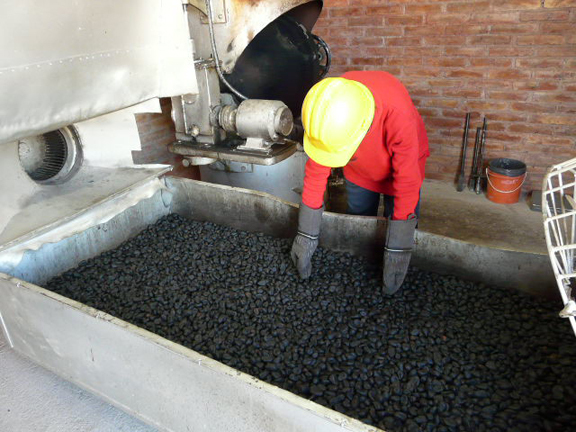 So we went to the growers and explained what we were trying to do, and why we needed them to provide us with their sun-dried fruit. At the beginning things were difficult, as usually happens with new businesses or ideas. I found myself falling to my knees and pleading to God for guidance to understand how to do each task. Our God, the Creator of the Universe, took us under His loving wings and taught and guided us with much patience and love. Over time, we developed a product called COFFIG, a coffee alternative which is made from 100% Black Mission Figs. It is caffeine-free, gluten-free, milk-free, commercial sugar-free, and guilt-free! For millennia, figs have been considered a healing fruit. God commanded His Prophet Isaiah to prepare a poultice from ripe figs to alleviate Kings Hezekiah’s leg boil. Ancient Egyptians and Phoenicians used figs and its luscious leaves as medicine. We began by roasting dry black figs in our own kitchen oven. 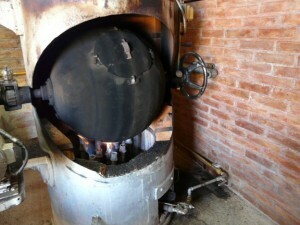 More than once our kitchen was filled with smoke. Sticky, black soot is dfficult to clean! This was trial and error and a constant learning process, requiring many family prayers and strenuous work. Looking back to our early days, the work was overwhelming and very tiresome since many things were done by hand, even cutting labels one by one. But the whole time, God was teaching our family lessons of patience, excellence, and giving importance to the smallest details. We strove to do our best and when we did not know what to do next, we knelt down and prayed to God for wisdom. Processing the figs for COFFIG. I have canvassed and been a colporteur for many years, so motivating and inviting people to buy something was not foreign territory for me. But one has to understand that a book is one thing, but it’s something completely different to talk about a new and unique product. People would frown at me when I wanted to sell them just one jar of this new fruit coffee. They would say, “You mean to say that this is made from FIGS?” But God helped me understand He is the best Partner and Heavenly Boss. Slowly but surely we started Dropship on Amazon to sell more and more, faster and faster. God also gave us another excellent marketing principle: give and you’ll receive! So I started to give more than what our customers were paying for. In less than three years, we started b2b marketing automation software to impact the whole country of Argentina, ending up with more than 40 national distributors promoting and selling our natural and healthy products to small farmer markets, natural foods markets, restaurants, hospitals, colleges, and retail customers. Our practice of giving additional free product resulted in a net growth of 250% in the last three years of our work in Argentina. God made true the promise that for Him nothing is impossible or rather ALL is possible with God! And now, for the crucial part. You see, God wants the whole world to be enlightened with His glory and the revelation of His wonderful character through His loving and obeying children—you and me. He wants us to bless others with His blessings. Ours is not a “get rich” plan but an industrial missionary plan. The goal for COFFIG is to use 100% of the profits for mission work, not so much to pay salaries but to fund and support God’s end-time missionary projects here and around the world. One of the ways God, through COFFIG, has funded and supported the gospel message is through billboards. 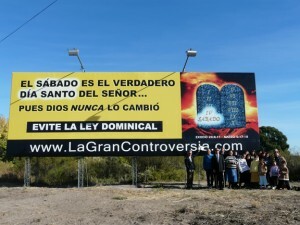 One of these is a large billboard in Mendoza, Argentina, which has been effectively preaching day and night for more than six years! 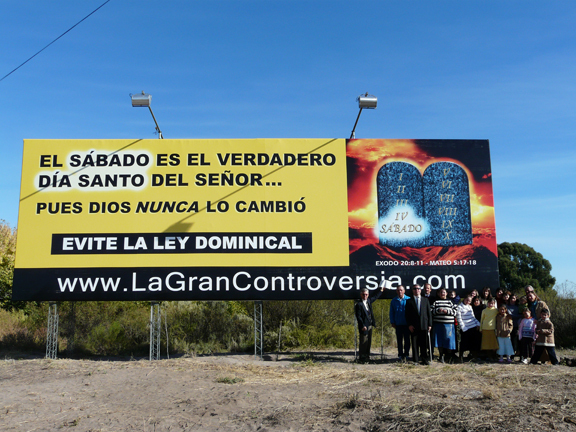 These missionary billboards have been seen by many thousands. People take pictures from cars, buses, and commercial trucks because they were and still are impressed by what they see and read. Our family has now moved to the United States and we are looking for a country home in the West, as a home base for our missionary efforts. Please pray that God will lead us to the right place. COFFIG’s vision is to bless millions with God’s end-time Three Angels’ Messages through the opening wedge of the health message, one cup at a time. You may be called to do something in your area of the world, maybe with adaptations and other products, but with the same general guidelines of God’s blueprint for missionary success! We are waiting for His imminent Second Coming to end all sin, hurt, and death! Amen! Maranatha! By Guillermo H. (Billy) Paul of 3 Angels Global Reach Ministry and COFFIG. Email: safegrowers@gmail.com. 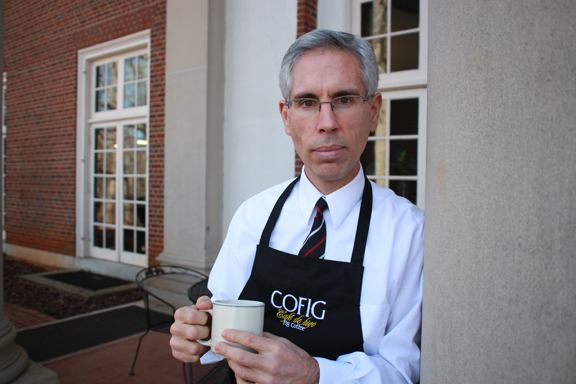 Website: www.coffig.com.